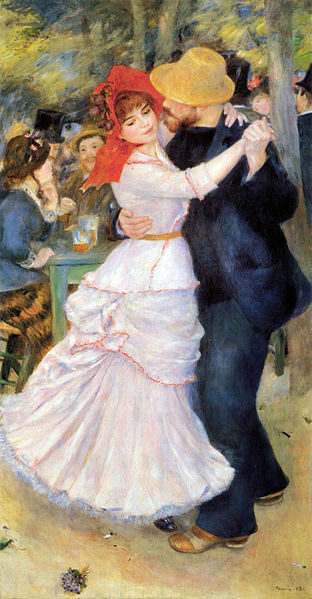 Pierre-Auguste Renoir was born on February 25, 1841 in France. He is one of the most prominent figures in the Impressionist movement in art. His legacy lived on not only in his art, which has survived and thrived since his time, but also in his sons, who became artists as well. 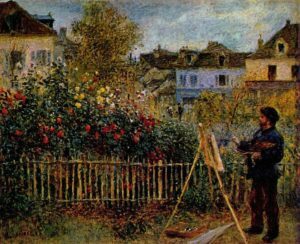 Renoir grew up near the Louvre and frequently visited there. 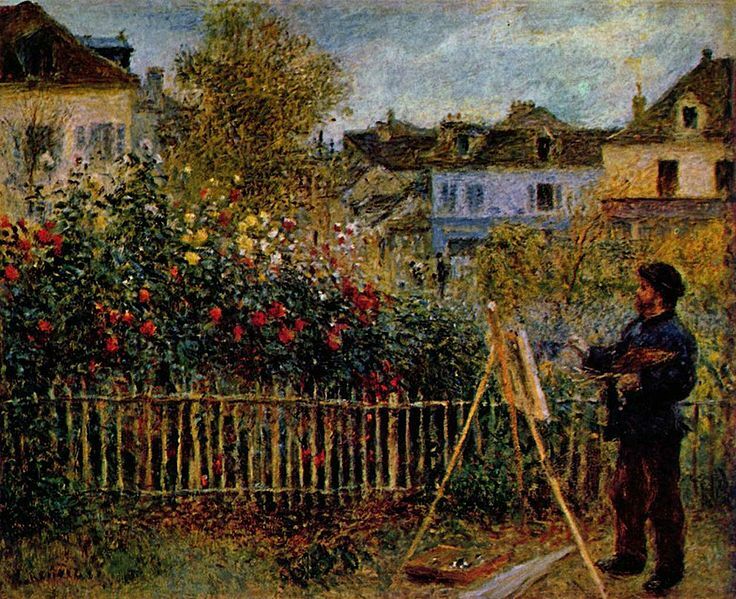 He took lessons in the hopes of studying one day at the Ecole des Beaux Arts, and when he went to Paris he met Claude Monet. 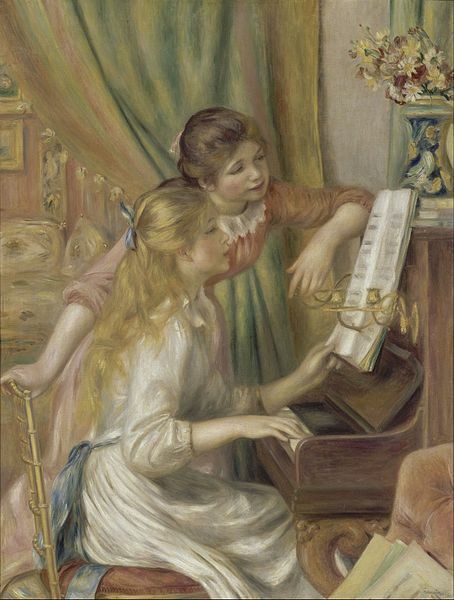 The two worked together with other artists to launch the first Impressionist exhibition, where Renoir showed some of his paintings. 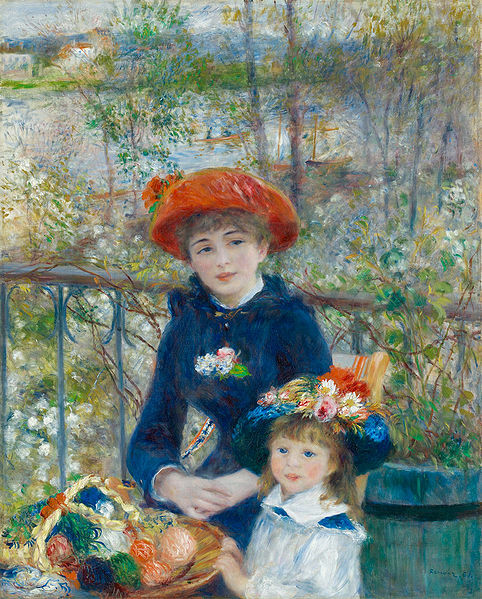 Renoir’s work is recognized for its vibrancy in color and life. He painted mostly candid interactions between people, bringing alive a sense of emotion. 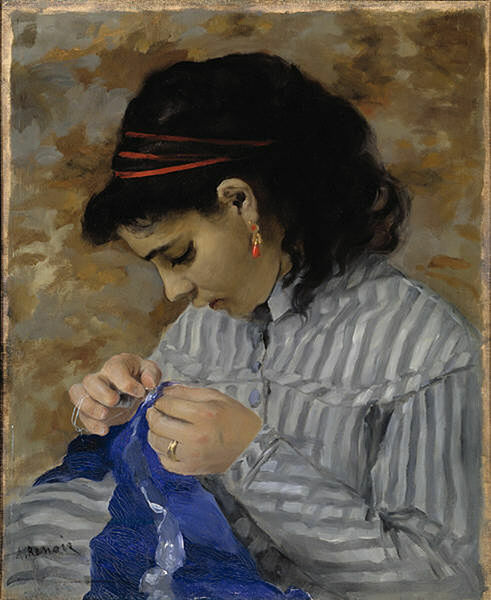 As with any Impressionist artist, he painted loosely, letting his subjects appear at ease and natural. 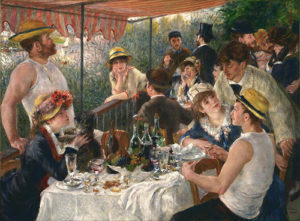 Renoir and Monet together are responsible for the understanding artists now have of color in shadow, that shadows are not simply black or a darker version of the color it was before shadow. Rather, shadows reflect the light and color of objects around them; they contain deep shades of blues and purples and even reds. To bring color into shadow is to bring a painting truly alive, to make it pop. 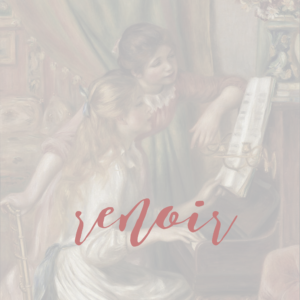 Renoir’s works have survived so well due not only to their aesthetic pleasantness, but the warmth of emotion which they emanate. and The Two Sisters, On the Terrace.